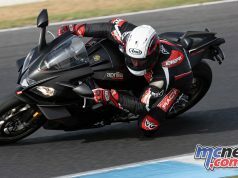 The ASBK competitors had been scheduled to have a ten-lap race at 1330, but delays on the program had seen it pushed back to 1720. Glenn Allerton had secured pole early in the day ahead of Troy Bayliss and Troy Herfoss but it was Mark Chiodo on his own private GSX-R1000 Suzuki that led the field into turn one and held on to that position throughout Southern Loop before Troy Bayliss got the better of the youngster on the run towards Siberia. Glenn Allerton then pushed Chiodo back to third place at MG Hairpin. Troy Herfoss got Chiodo down the straight but struggled to pull the Penrite Honda up for turn one and had to relinquish that position and Alex Phillis also saw his opportunity and pushed Herfoss further back to fifth ahead of Max Croker. 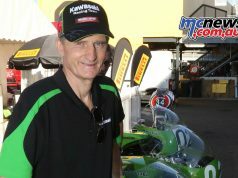 Bayliss had capitalised on his early clear air but Glenn Allerton had his head down and was hunting the three-time World Superbike Champion. 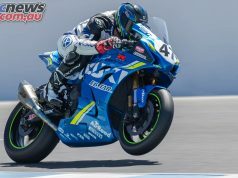 Herfoss had worked his way back past Phillis and Chiodo into third place, but the 2018 ASBK Champion was three-seconds behind the leading duo with five laps to go and seemingly out of the fight for the win. 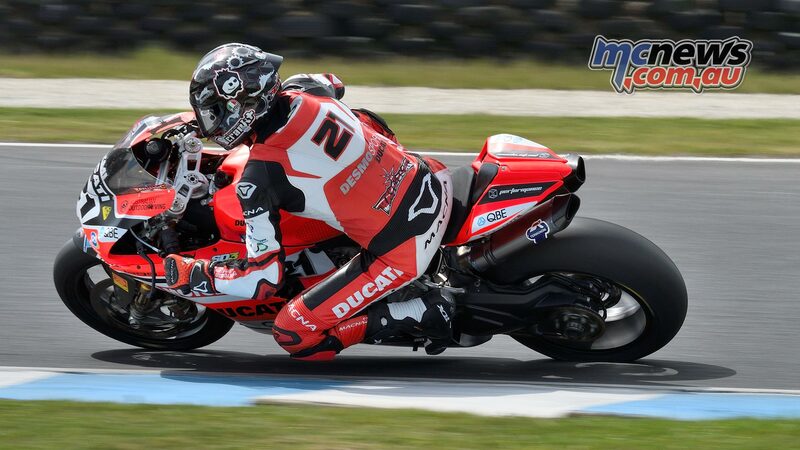 Troy Bayliss had responded to Allerton’s challenge and dropped in a 1m33.011 to extend his lead back out to half-a-second. TB was back out to 1m33.46 on the next lap though which allowed Allerton to pull back a couple of tenths on the Ducati man once again. The gap down to basically nothing with three laps to run, it was going to come down to who had the grip on the final lap. Allerton almost looked to be biding his time over the final two laps. Watching the Ducati from close astern, and perhaps trying to save his rear tyre for the final lap. Lapped traffic though on the penultimate lap cost Allerton more than it did Bayliss, allowing the Ducati a much better run through turns 11 and 12 so at the last lap board the gap was back out to 0.418 of a second. Allerton had it down to 0.386 at the first split, lapped traffic everywhere, the gap down to 0.244 at the second split. Allerton all over the back of the Ducati at Lukey Heights, looks to do it at MG but could not squeeze through, TB had a bit of a bobble tipping into turn 11 which actually saw Allerton have to momentarily ease the throttle, and that was it, job done. Troy Bayliss the winner by 0.268 of a second over Allerton, Troy Herfoss a distant third place well ahead of Chiodo and Phillis. Previous articleAndrea Iannone tops tough day one for some at P.I.